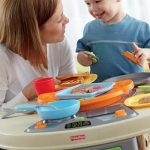 The Fisher-Price Servin’; Surprises Kitchen Table is full of surprises for kids– like a magic tray that recognizes the food being served with songs different phrases like Who wants pizza?” or Mmmm, cookies! There are songs to teach kids about manners and cleanup too! 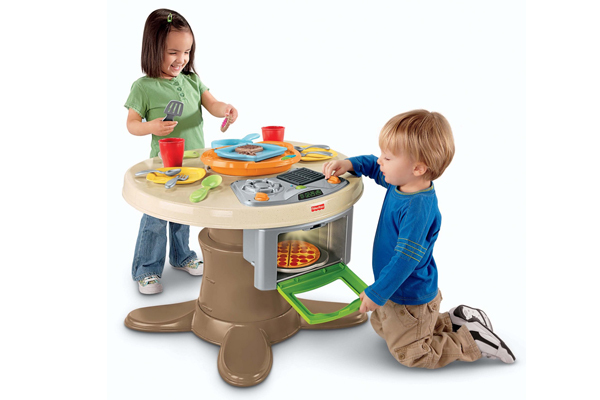 Plus a stovetop with a burner that makes cooking sounds and an oven with light and timer sounds. When you flip over the stovetop and remove the oven– surprise! 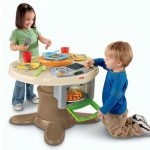 It becomes an activity table! 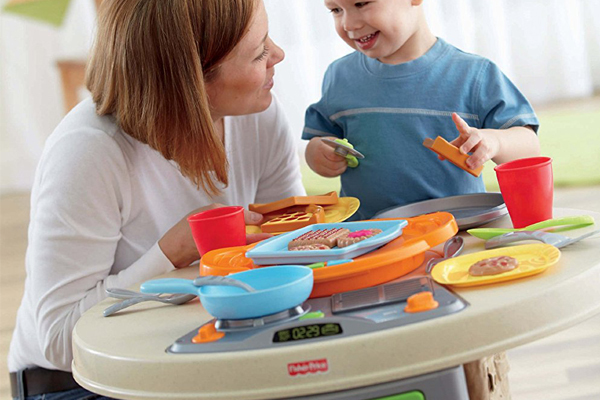 Place settings and food pieces store right inside table.